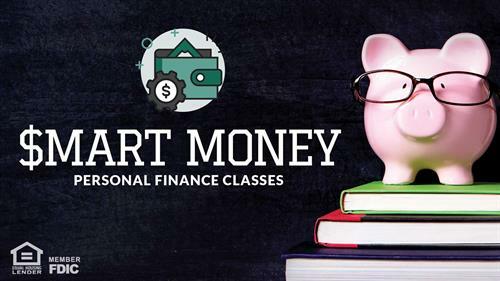 Classes are 10:00 - 11:00 a.m.
Register in advance at www.bankpds.com/smartmoney or register at the door. Join us on Saturday mornings to learn about personal finance! We’ll cover a different topic each month. Classes are free and open to the public. Classes are taught by Joel Chrisler, Sauk Prairie High School Teacher, @JoelRealLife101. Resolved to spend less, save more, or pay off debt? Learn ways to reach your goals. No credit, bad credit, or good credit—learn how to understand and manage it. Thinking of buying a home? Learn the ins-and-outs of the home buying process. Learn about stocks, funds, bonds, and your options for investing in them. Learn strategies for covering college costs, designed for parents and students.